Many of you have seen our recent news update revealing the celebratory rewards we're sending to subscribers over the next few months. Today we're ready to begin gathering feedback on this new ship that will be handed out as part of the celebration! The Sunesis is a new destroyer from the Society of Conscious Thought. Like its big brother the Gnosis, the Sunesis does not require advanced skill training to fly and gets all its bonuses from fixed role bonuses. It also shares the Gnosis' "jack of all trades" design philosophy, receiving bonuses to all major weapon types and being able to be tanked in any way desired. Here are the work in progress stats as they stand today. We'll be making tweaks as needed using your feedback and playtesting. “The Sunesis-class SoCT Destroyer allows any acolyte to protect the investigations and secrets of the society. Since it has very low skill requirements, any capsuleer can pilot it. It serves well in research and exploration but truly comes into its own in combat, with extremely fast align time. This is a ship that shows its value when understanding the universe requires a strong hand as well as a sharp mind." To get this new ship for free, be subscribed before 23:59 UTC on September 16th 2016 and maintain an active subscription until the November expansion. 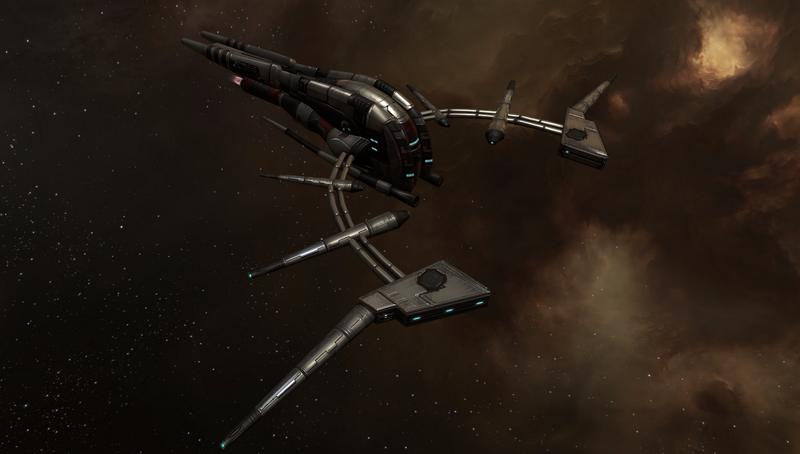 We'll have this ship ready for playtesting on SISI as soon as possible so you folks can try it out there. A pic is in the news item. I don't need to cancel my current subscription and make a new to get these do I? drone bay is kidna small , give us 50m3 and 25mbit bandwidth for drones. maybe make it able to fit warfare links? how the sunesis will be seeded? some lp store? blueprint copy as some rewards? why there is no soct faction on ship tree? What about the drone bay/bandwidth? Apart from that, sounds like a fun ship to fly! It seems VERY powerful for a destroyer though, the 4 mids + 4 lows... What are the drone bandwidth and capacity BTW? So yeah, it sounds like it will be just like the Gnosis, a very tanky, slow, very agile ship with less than average DPS and application. Application can be compensated by the extra mid/low slots, or you can choose to tank it quite a bit! In a vacuum that'd be fine by me, but it's a bit sad that this is the only "T1" option for destroyers that has that level of tanking. I missed adding the drone stats (20/40) in the first version of the OP, all fixed now. Like its big brother the Gnosis, the Sunesis is a celebration gift given by CCP to our players at certain important points in EVE history. Doesn't that bother you by the way? The EVE economy is almost entierly player-driven with player-made stuff. Injecting ships out of nowhere is fine when they have a way to be usefull without filling too much of a niche, like the Gnosis. But here, you have a destroyer that's clearly more unique in its stats (especially its ability to tank, but also it's ability to probe which is completely new for a destroyer)... It fills a niche, and this niche is entierly made of CCP-spawned items. I just find that weird for a sandbox. It's not the end of the world or anything, but it feels out of place. Nah, it's all good since it is very occasional. And it messed with the Gnosis speculators which was amusing. And it messed with the Gnosis speculators which was amusing. Unless CCP introduces more Gnosii on a regular basis, the speculators merely had their investment delayed. Remember folks, you don't loose anything as long as you don't sell! And here I am talking like the true trader that I'm not. I will be interesting to see if the Sunesis or the Gnosis end up being the most used of the two though. I agree with this ro some extent. I would prefer that ccp give a bpc not a fully built ship. Then people would have to access the sandbox to build their gift. That being said I do support ccp being able to reward players and thank them for trying to come up with new and creative ways to show subscribers appreciation. So my question is not about the ship itself, but about the offer. Are PLEXed account eligible to this offer ? Is this per active account or also per active character?